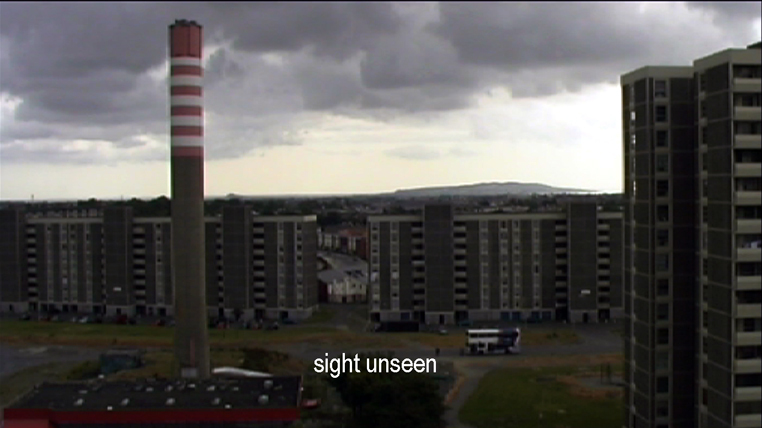 Sight Unseen is a film made with residents of the Thomas Clarke tower in Ballymun. 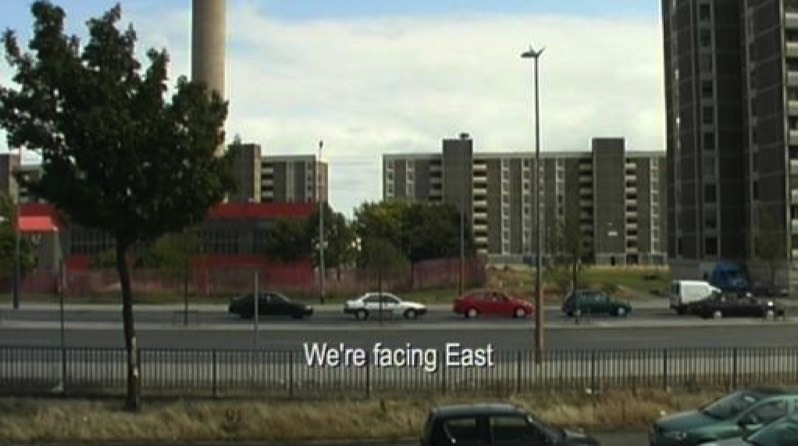 The film was shot entirely from the windows of the tower and features transcribed interviews with a number of its residents - describing both the views they saw and the views they held, at the moment when the sightlines that make up the former were about to largely disappear from daily regard, when the block was demolished in 2006. The film is structured as a slow spiral from the ground upwards. 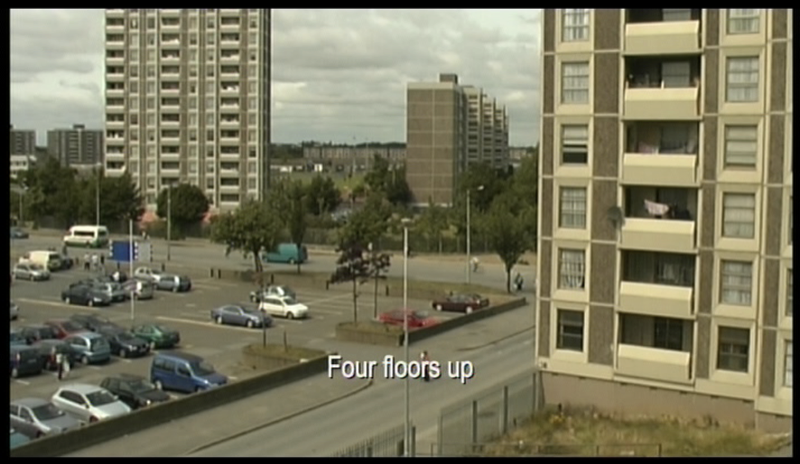 First floor shots of pedestrians and speeding traffic give way to middle distance views of adjacent towers being demolished, popular play spots and favourite trees, before the camera comes to pass over lower-lying roof tops and glimpses of the airport, Howth Head, and the furthest visible horizon from the 15 storey tower – a horizon whose perimeters encompass an unexpectedly large set of views and implied connections which will be quietly erased in all but memory, as the residents of the tower move to their new homes. The audio of the film consists solely of what is picked up by the camera's microphone and moves from a nearby clamour of traffic and urban activity, to a more distinct sense of distance further up, where the acoustics may make a kicked tin can seem as loud as a bus. Over all this footage is a subtitle commentary from the residents for whom the particular views onscreen are part of their daily life – descriptions of photographing a full moon from a bedroom window; seeing relatives pass on the way to the shops; estimates of how high up 'we' are and just what we can see; distinct and indistinct memories; speculation on their new homes. 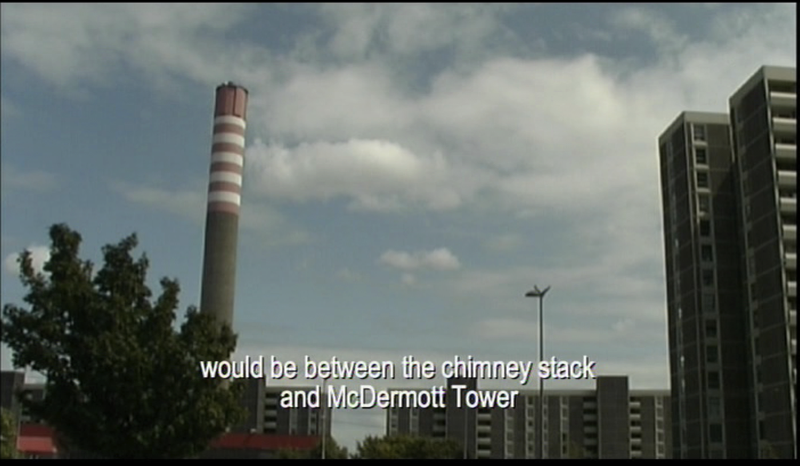 The film was shown in a number of sites within the broadest area visible from the tower – creating small acts of temporary 'twinning' between the viewer watching a screen in those locations and the resident and camera in the tower 'watching' them, whilst this sight remains seen. 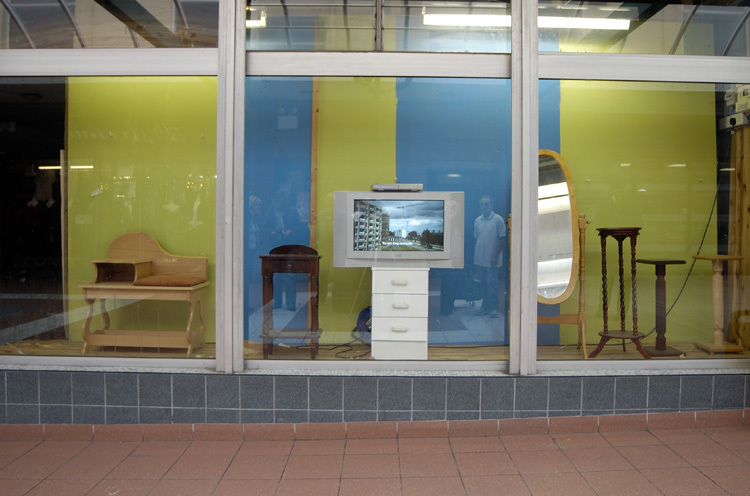 Commissioned by Aisling Prior for Breaking Ground, the Ballymun Regeneration Ltd Per Cent for Art Programme.